Sean Goodsell is an award winning creative artist who has designed multidisciplinary work for the past 15 years. As the Art Director for TVGN (TV Guide Network) and freelance graphic artists, Sean worked for a wide range of clients including Lionsgate, CBS, NBC TV Guide Network and GEB America. 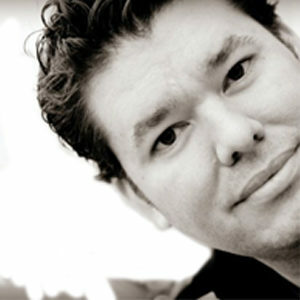 He is an exceptional 2D/3D designer and animator. He is adept in a variety of design and animation software including After Effects, Adobe Illustrator, Adobe Photoshop, Adobe Premiere Pro, Flash, HTML5 and Cinema 4D.